Ideal for use in tempering and cleaning operations. 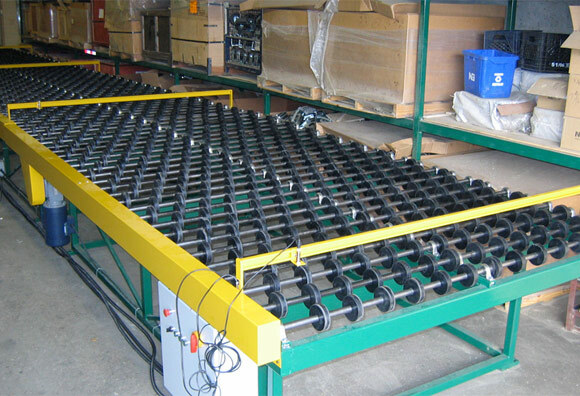 Anywhere you need an automated transfer table, count on one of ours to do the job. Built to any dimensions, and available with donut rollers, standard steel or PVC covered rollers.